The Bible does not directly answer our question, What Did Jesus Look Like?, but it does give us clues from which we can get a good general picture. Although we can be curious as to the physical appearance of Jesus, it is obviously not something of great importance otherwise the Word of God would give us a detailed description. Worldly people often place great value on outward appearance, but God places value on the heart and character. 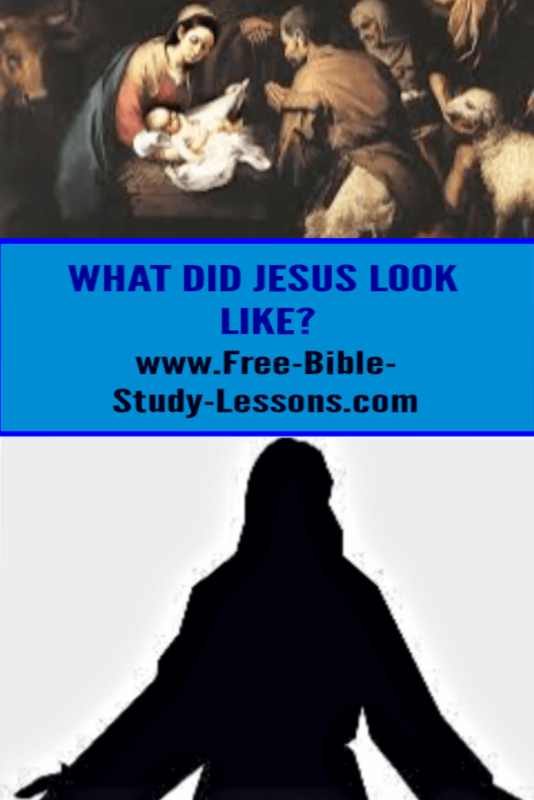 Nevertheless, let’s see what we can discover about what Jesus looked like. Some of what is below is solid deduction and some is conjecture. You can decide for yourself how much is valid. As we think about what did Jesus look like we need to realize that He looked like an average person. He was not especially handsome or attractive, Isaiah tells us. We need to picture an average-looking man from the Middle East. We also know that Jesus had a beard that was long enough for His torturers to grab ahold of and pull out during the crucifixion. Long hair was part of the Nazirite vow [Num. 6:1-21] and some feel because Jesus was called a Nazarene that He had taken this vow and thus had long hair. The Nazirite was not normally a life-long vow, but, in any case, Jesus broke other parts of the Nazirite Vow [such as drinking wine] which He could not have done had He taken the vow. Scripture is plain that Jesus was called a Nazarene because He came from Nazareth not because of a vow. One other point that we can gather from Scripture is that Jesus was muscular. I get this from the fact He was a carpenter. This was a manual job which would have required strength to perform. Sorry to disappoint some, but Jesus was not a blue-eyed caucasian - and neither was Mary! If the above image of Jesus makes you uncomfortable or turns you off then examine your heart to see if some form of racism is lurking there. The only things we know about what Jesus wore from Scriptures is that He wore sandals and had an outer garment that could easily be divided into four pieces and tunic [worn next to the skin] that was woven in a single seamless piece. So, if Jesus was so average, what made Him stand out and draw people to Him? It was His character. He was a safe person to be with. Children loved Him and He loved children. Women could feel safe and accepted in His presence. He broke tradition and treated them with respect and as equals. He cared about their feelings and troubles. They did not have to worry about lustful side glances when they were around Him. Men and women could share freely with Him and not receive condemnation. They could indeed experience the love and acceptance of God. Read through the Gospels and look at how Jesus dwelt with people. He could be strong and tough to those who opposed Him and hurt others. He was also gentle and kind to all who came to Him. You can know this Jesus for yourself! If you are a Christian, Jesus is living in your skin - regardless of your skin colour, gender or appearance. How well are you and I reflecting the truly important characteristics of Jesus?